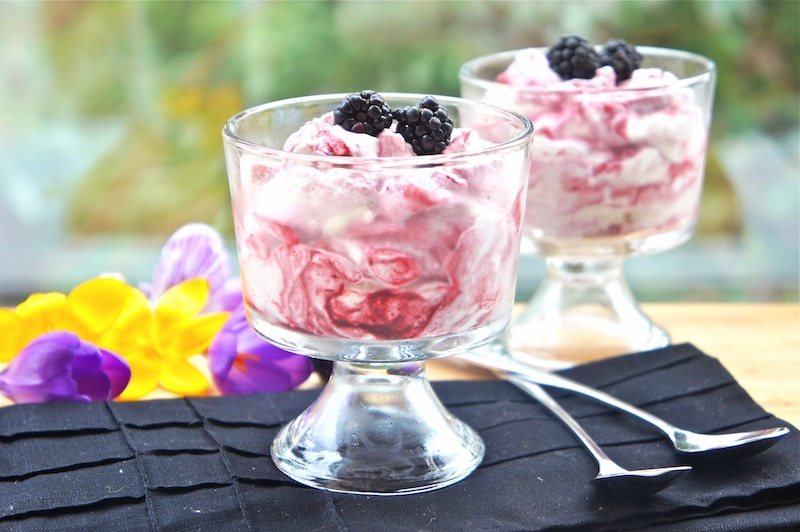 In a blender or food processor, puree 1 ½ cup of the blackberries. Using a rubber spatula, press the puree through a fine-mesh sieve into a small bowl. Discard the seeds. In a large bowl, using an electric mixer on medium-high speed, beat together the cream, sugar, brandy and vanilla until firm peaks form. 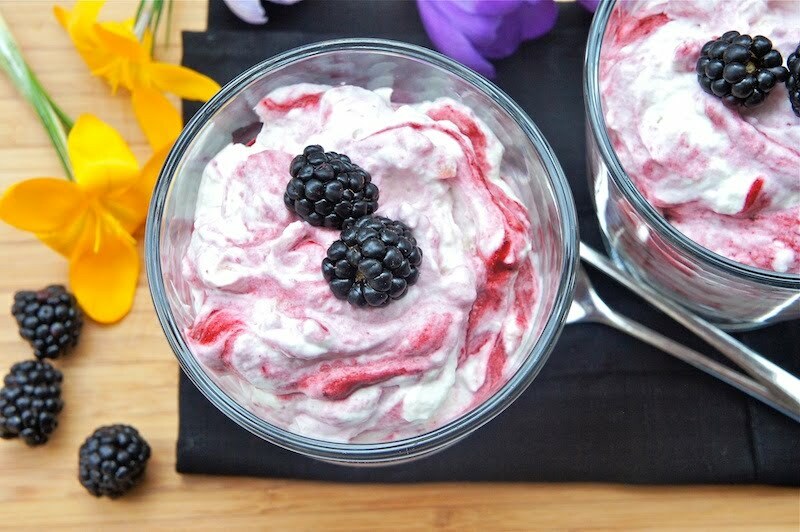 Using a rubber spatula, gently fold the blackberry puree and the remaining whole blackberries into the whipped cream. Spoon the fool into glass and serve immediately. I love any tart fruits with whipped cream. Thanks. @Anonymous: Thanks for the comment.